Love it or hate it, digital license plates are entering the market. Last week, Sacramento became the first U.S. city to buy in to the idea, outfitting 24 of its Chevy Bolts with Rplate Pros, the computer-driven, networked license plates from Reviver Auto. I caught up with Reviver CEO Neville Boston for some insight into where digital license plates may be heading, especially in terms of usage. More than a year ago, when the digital plates were still very new, Boston described targeted advertising on the plates as one of the potential uses. The idea was that a parked car in a shopping center parking lot could be covered to a live mini-billboard. “In a Home Depot parking lot, you could send ads that speak to what’s in a store,” Boston told me at the time. But like many IoT innovations, things can change along the way. 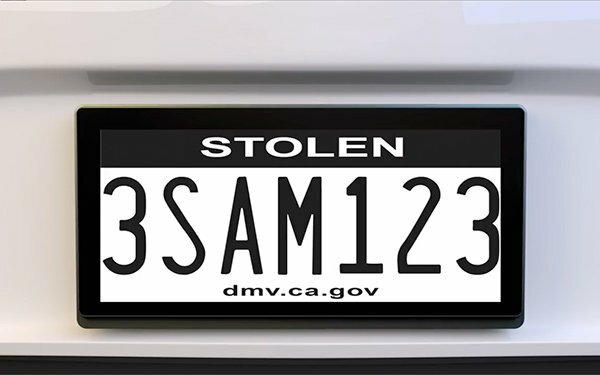 In the case of the plates in Sacramento, plans are to use them to oversee the movements and mileage of electric vehicles, receive a signal if a car is stolen and display messages, such as public service announcements and Amber Alerts. The concept of networked license plates that can change on the fly are starting to gain some traction, especially in the context of connected cars becoming more of a reality -- an idea that can unnerve some current drivers. The digital plates are not targeted for individual consumers for various reasons, not the least of which is the cost, at several hundred dollars each. Auto dealers are warm to the idea of putting the plates on loaner vehicles and dealer fleets. I would expect car rental companies are taking a look at this as well. Boston said the plates, which house GPS, accelerometer, RF sensors and storage, have to be approved by the department of motor vehicles and plate numbers always have to be showing when the car is being used. The plates are likely to expand well beyond Sacramento, since several states already have moved forward to approve testing, along with Dubai, UAE, which already has a proof of concept agreement with Reviver to test the plates there. The connected car won’t be connected only on the inside. 2 comments about "Smart License Plates Become Message Display Screens On The Move". R MARK REASBECK from www.USAonly.US , June 11, 2018 at 5:57 p.m.
Chuck, you posted this last week, but now you have the head honcho speaking. As I said before, Municipal cars have non expiring plates...........why waste the money? need to track car? we already have a sat system that many businesses use for their fleets. if you don't know what's in a Home Depot, you don't belong there. All the tech developers revert to the ad campaign to stimulate interest of advertising. What if it's parked at a meter and the meter expires, will the meter maid write the ticket to Home Depot? Unless you can make the plate say "GET OFF MY A**" while I'm driving, ain't interested. So when a guy steals a car , it will come over the screen/speaker that he's driving THE Stolen car?? More Bigger Brother on the Horizon. Chuck Martin from Chuck Martin replied, June 11, 2018 at 7:52 p.m. The event in Sacramento was last week, which we covered here, Mark. The ROI is in the cost-savings from the way they were tracking vehicles previously.